Enter up to 5 phone emergency numbers- These will be called in a round-robin fashion when the “Reach emergency contacts” button is clicked. Choose how and when you receive alerts for emergencies. Select alerts for device falling, phone location tracking, geofence entry/exits, app usage reports, and more. 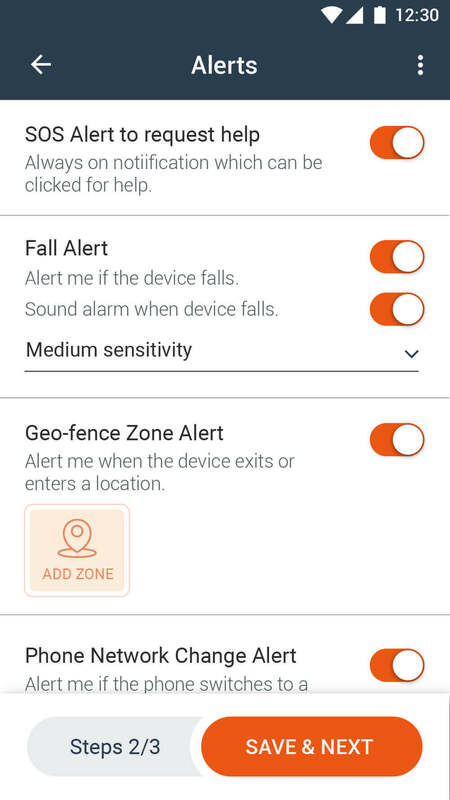 The sensitivity of the fall tracker and the location services can also be adjusted here. 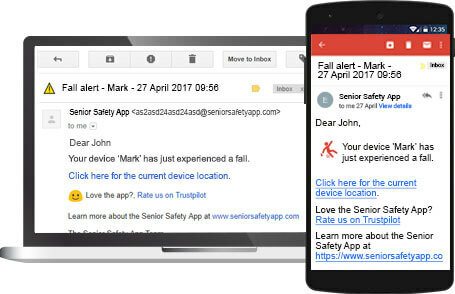 The email you enter will be used to create an account for you to login on the cloud console at https://account.seniorsafetyapp.com. If you already have an account click the login option to use the same account for multiple devices during installation. 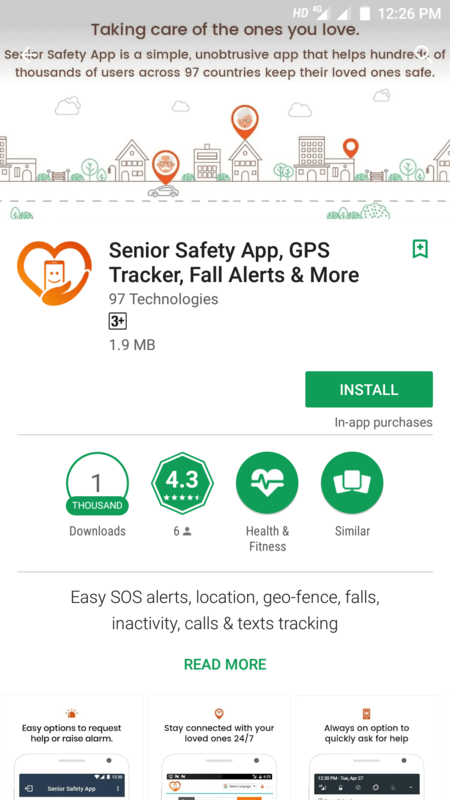 The Senior Safety App works as a tracking device for seniors. It goes to work immediately and you can review live location and review device data online. Alerts come in as and when configured conditions are met. Every alert comes with GPS coordinates that can be reviewed on Google Maps live. Location accuracy and fall tracking can be configured to be less or more accurate based on your lifestyle needs. Each alert has options to cease sending and/or reconfiguration. 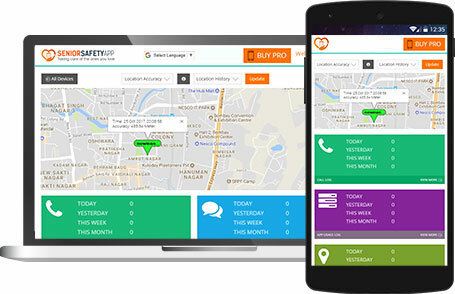 Track the phone 24/7 using the cloud console at https://account.seniorsafetyapp.com. See an archive of phone usage data plus all the alerts that were generated from the app. Modify app configuration directly on the backend without the need to access the phone. The online cloud control panel is a powerful system to analyze phone usage with live location and 90-day location history. Control multiple phones from a single account and see them on the map together.